Earlier we have covered that Researchers at the Massachusetts Institute of Technology told that U.S. power grid needs cyber security protection. Now the US Govt is suspecting that 'Hactivist' Anonymous may target this vulnerable point and shut down the entire U.S. power grid within the next two years. General Keith Alexander The head of the National Security Agency has warned- that the hacker collective group Anonymous may be able to bring about a limited national power outage through a cyber attack. In the meeting at White House has relayed his concerns. Though he has not publicly expressed his concerns about the potential for Anonymous to disrupt power supplies, he has warned publicly about an emerging ability by cyber attackers to disable or even damage computer networks. 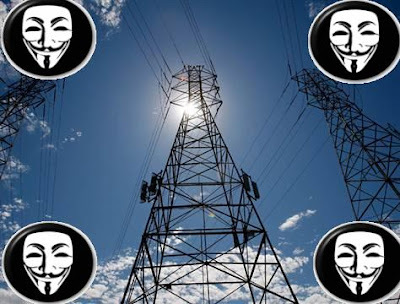 Still Anonymous has never indicated to perform cyber attack against US power grid, but in the last week they have called Operation Global Blackout, a plan to shut down the Internet on March 31. And the security experts are suspecting that while executing that attack Anon may target the US power grid.